Over the last ten years, Peru has enjoyed sustained economic growth and corresponding progress in development and social inclusion. However, while the numbers of people living below the poverty line has fallen, there are still great social and economic inequalities, especially in rural areas. Leslie Forsyth, Executive Director of our in-country partners FNI, asks - how can the green economy make sure no-one is left behind? 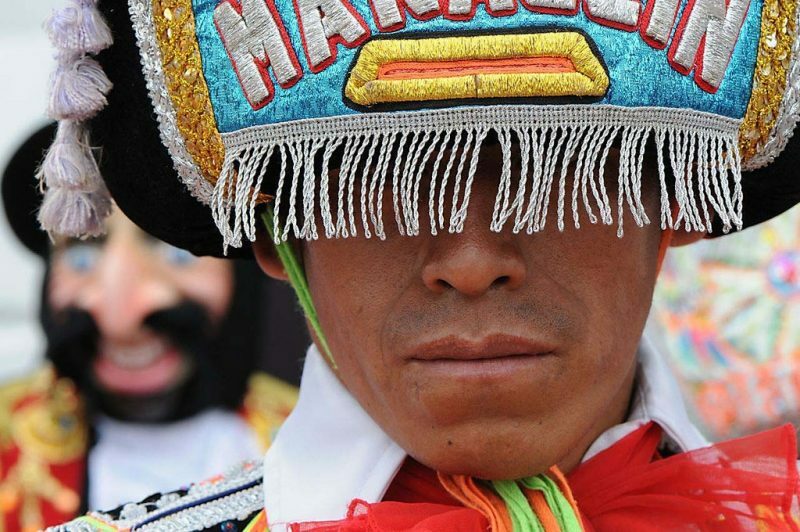 In a country like Peru, inequalities are entrenched and difficult to tackle. Poverty, discrimination and social exclusion are a daily fact of life fore many, and these inequalities are perpetuated by social, cultural and economic structures. Many of the economic activities which have driven rapid economic growth involve intensive exploitation of natural resources. Such overexploitation is not sustainable over the long- or even medium-term, and as the environment degrades the people that depend on these resources become increasingly vulnerable. This form of economic growth cannot ensure economic stability for all groups, as many are at risk of falling back into poverty. According to a World Bank study, almost 100 million people could go back into poverty as a consequence of climate change. Everyone is exposed to risks, but in Peru there are some groups who are in an especially vulnerable position. The adoption of the 2030 Agenda for Sustainable Development and the Paris Agreements on climate change has committed Peru to eventually change the social, cultural and economic structure of the country in order to have a more inclusive and sustainable development, framed under a green economy. Green economy will produce green jobs that will offer decent work, promoting environmental sustainability and social inclusion. The creation of new industries and employments through the transition to a green economy is key to ensuring more sustainable economic growth without damaging the environment and people. To achieve green growth, it is essential to address inequalities, as the transformation to a green economy without the implementation of forceful policies and inclusion strategies could increase social vulnerability. In the Peruvian context, we find three groups that are at risk of being left behind by the green economy transition if they are not managed in an adequate way: the informal sector, young people, and rural & indigenous communities. 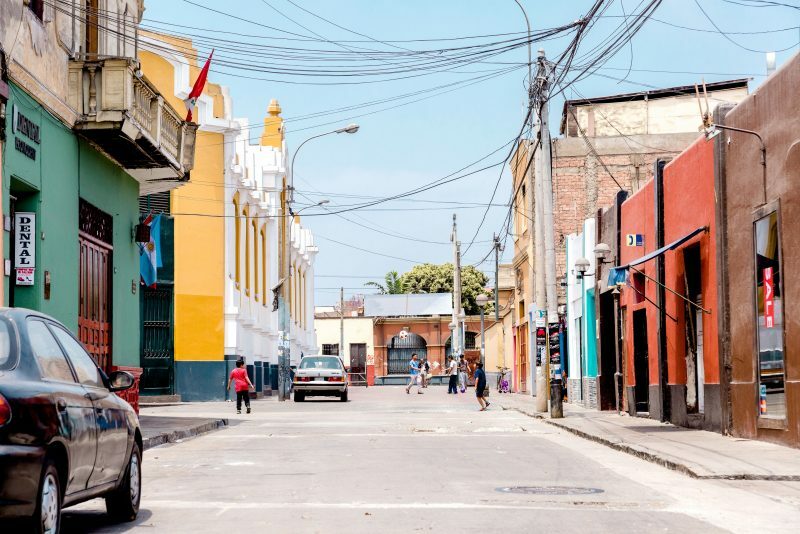 Business that operate cash-in-hand, with little or no contact with government regulation, are one of Peru’s major obstacles to achieving sustainable employment and growth. Reducing informality should be one of our top priorities for policymakers in the transition to a greener economy. The informal sector is multi-faceted and powered by a lack of education, a burdensome regulatory framework, limited access to credit and lack of trust in the institutions. 72.9% of the Peruvian workforce is informal, this means that these jobs operate outside the legal and regulatory systems and don’t have work benefits stipulated in law such as payed holidays, benefits, and social security among others. This figure is bigger in rural areas (95,5%) as other forms of formal income are hampered by the lack of skills, weak market linkages caused by economic exclusion and marginalization. Different actions are being promoted through the Organization for Economic Cooperation and Development (OECD), such as the integration of the health program in a universal health care or more pension schemes. The main challenge is that informal workers are usually off the radar when public policies are created, so they remain in a vulnerable position. The design of new policies must consider the informal sector, in order to promote the integration of this workforce to the formal market. Peru is currently enjoying a demographic boom, with more young people entering the workforce every year. By increasing the number of working individuals, young people should be able to contribute to the social and economic development of the country. Nonetheless 19% of those between 15 and 24 years old are not studying or working. One of our main challenges is turning the youth boom into a higher employment rate. Green economy can provide the dynamic change needed and contribute to the creation of new job offers and the relocation of young workers from lower productive activities to higher productive sectors. The development of basic skills and access to secondary and tertiary education is needed to create opportunities. To create jobs to engage young people in a greener economy, the Ministry of Labour and Promotion of Employment is developing a National Plan for Green Employment with the support of Partnership for Action on Green Economy (PAGE) led by the International Labour Organization (ILO). These efforts are part of the National Green Growth Strategy developed by the Ministry of Economy and Finance and the Ministry of Environment, which is in the process of being approved. In the past, rural and indigenous communities have had only limited access to basic social services such as education, health and basic infrastructure, and disproportionately suffer from underemployment and lack of democratic representation. Economic expansion has affected indigenous people in different ways, in many cases for the worse. Natural resources and the environment are very important for these groups, as they are more than just a livelihood: environment is often vital to social and cultural values. In many cases these groups appear as victims of the brown economy, as they are disproportionately exposed to climate change and to some of the actions that aim addressing this problem. 83% of Amazonic indigenous people face high risks of food insecurity, and 81% of Amazonic indigenous communities are vulnerable to natural disasters. Nonetheless the ILO states that the transition to a green economy and its job prospects represent an opportunity for these groups to become change agents through empowerment and the defense of their own rights, framed in the context of the Indigenous and Tribal Peoples Convention, 1989 (No. 169). Traditional local knowledge from these communities is also very relevant in the purpose of producing adaptation strategies. If innovative techniques could incorporate this knowledge, climate smart agriculture could be implemented in many rural communities generating economic benefits as well as a more efficient use of resources. All of this represents a significant challenge for Peru in the implementation of a green economy. One of its key objectives should be focused on reducing inequalities and poverty. Policies should be able to address these economic, social and cultural vulnerability in order to empower these groups by having an important role combating climate change. The potential of indigenous people is crucial for effective climate action. Governments, international organizations, NGOs and civil society have an important role in this transition, guaranteeing that no one is left behind.